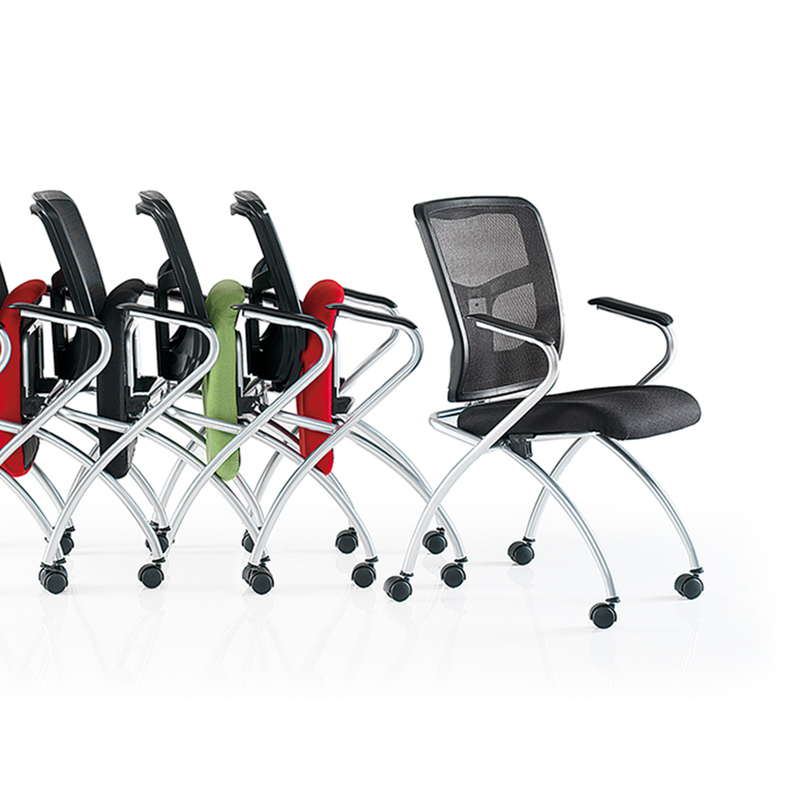 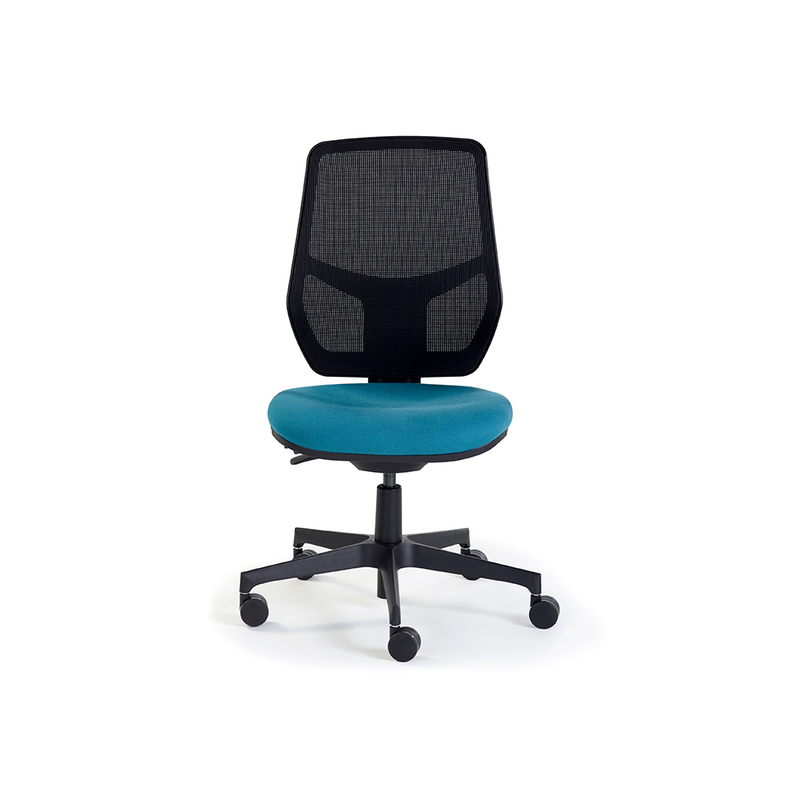 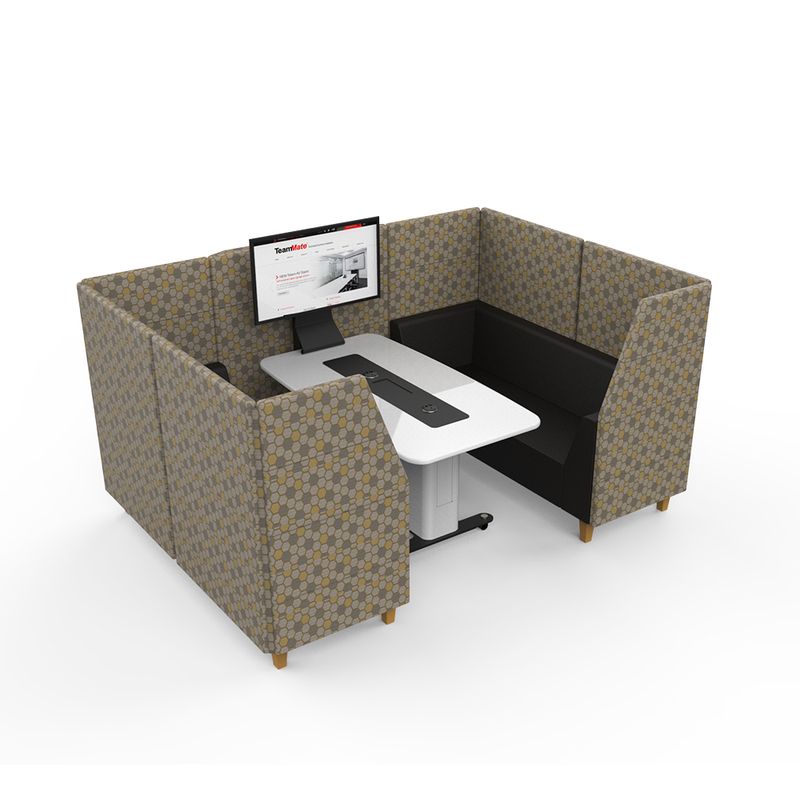 The innovated folding design allows the centralised connectivity module to remain in the center, thus minimising any disruption. 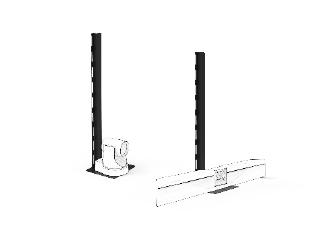 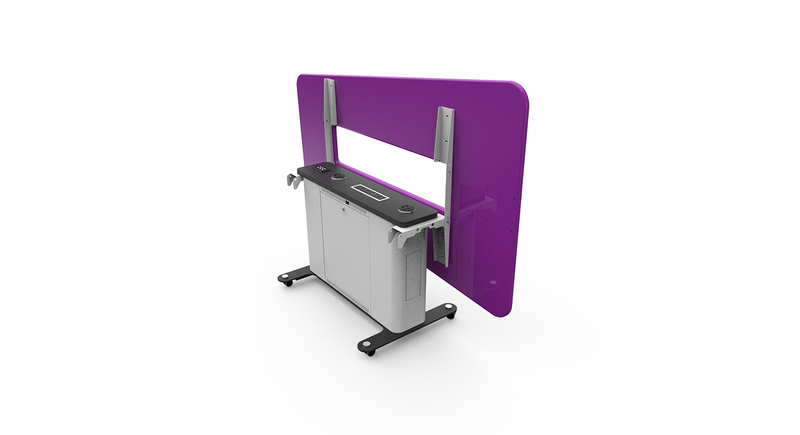 Once in position two location pins can be moved to lock the tables folding capability safely in place. 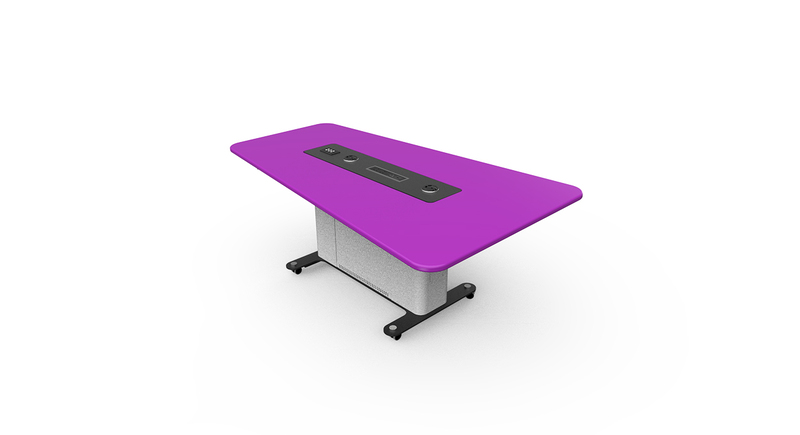 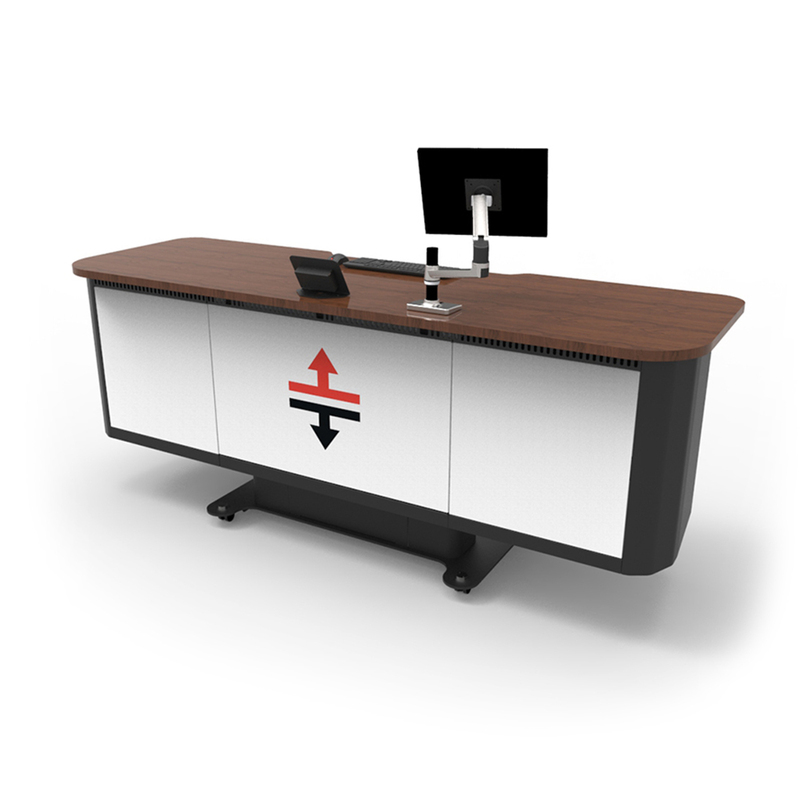 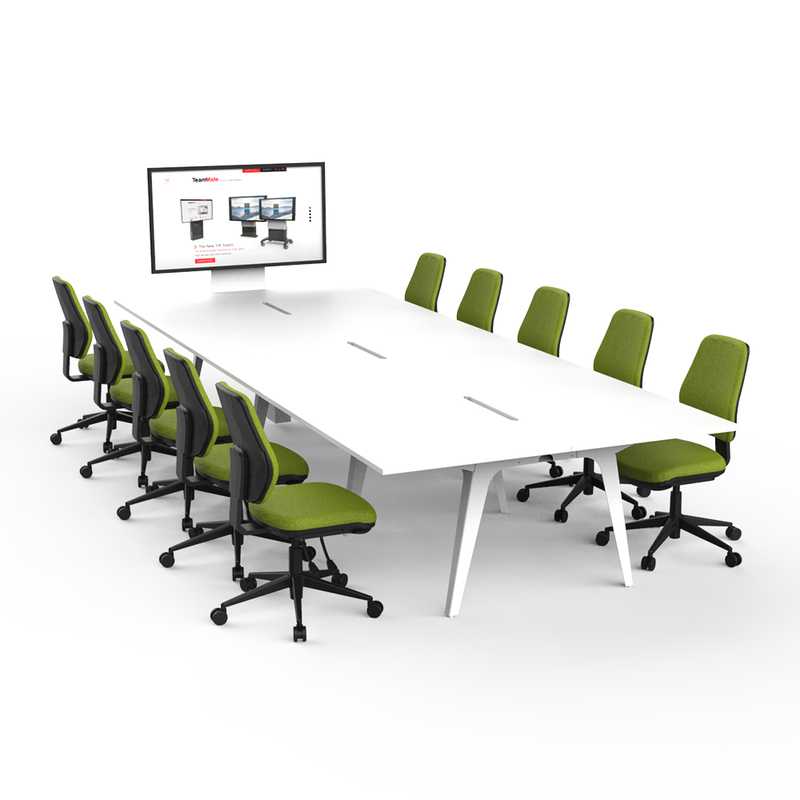 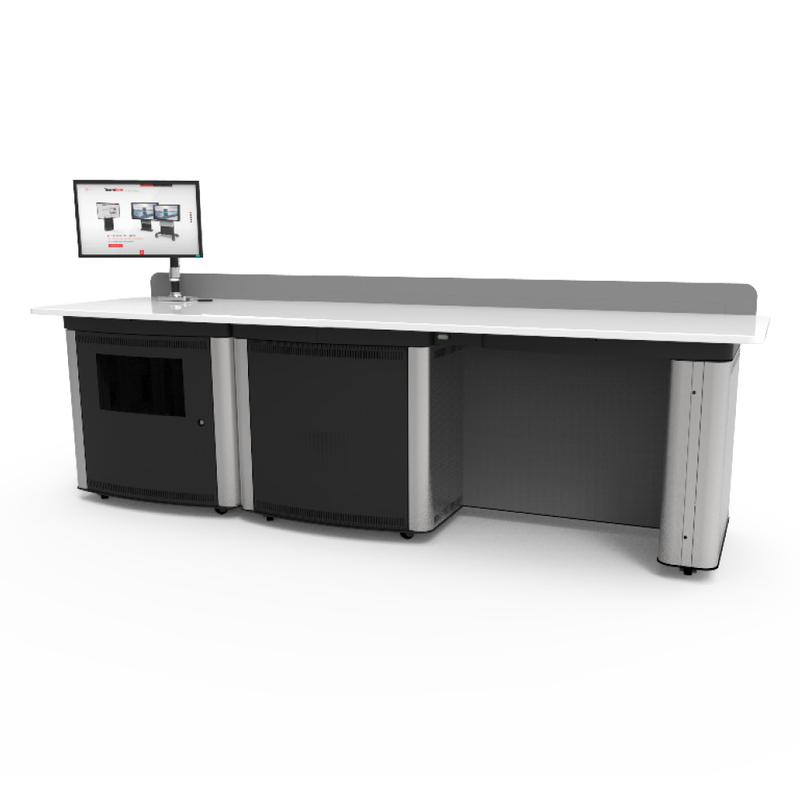 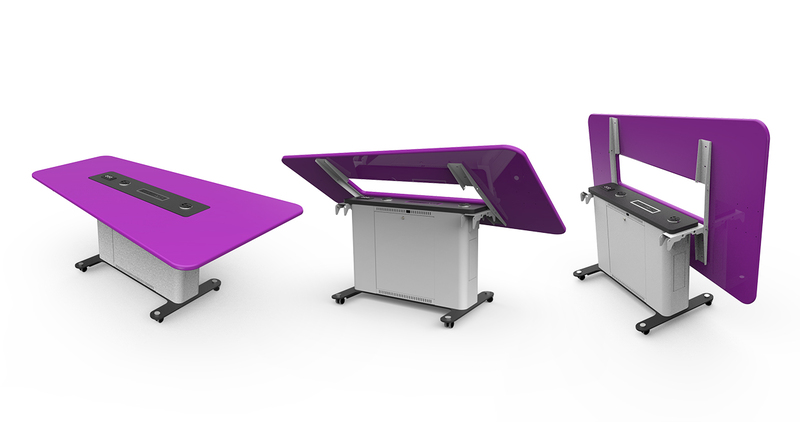 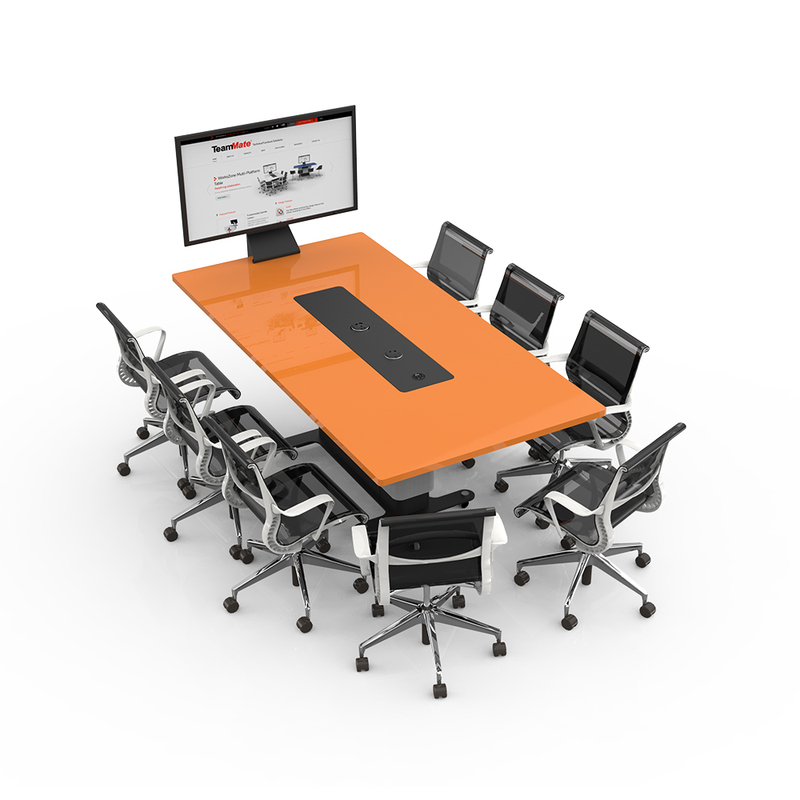 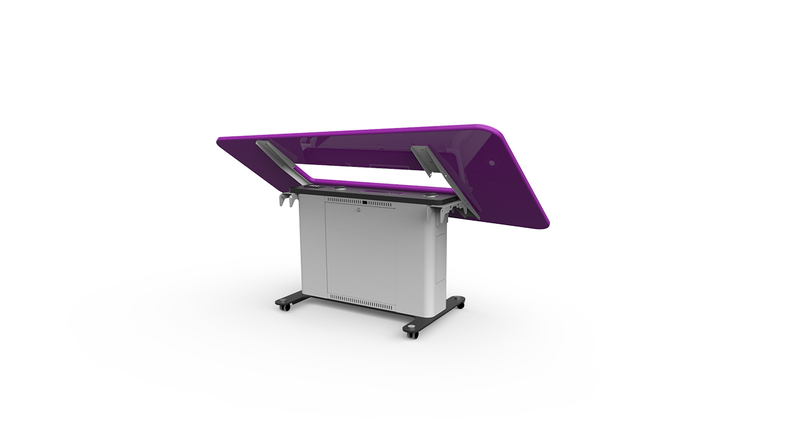 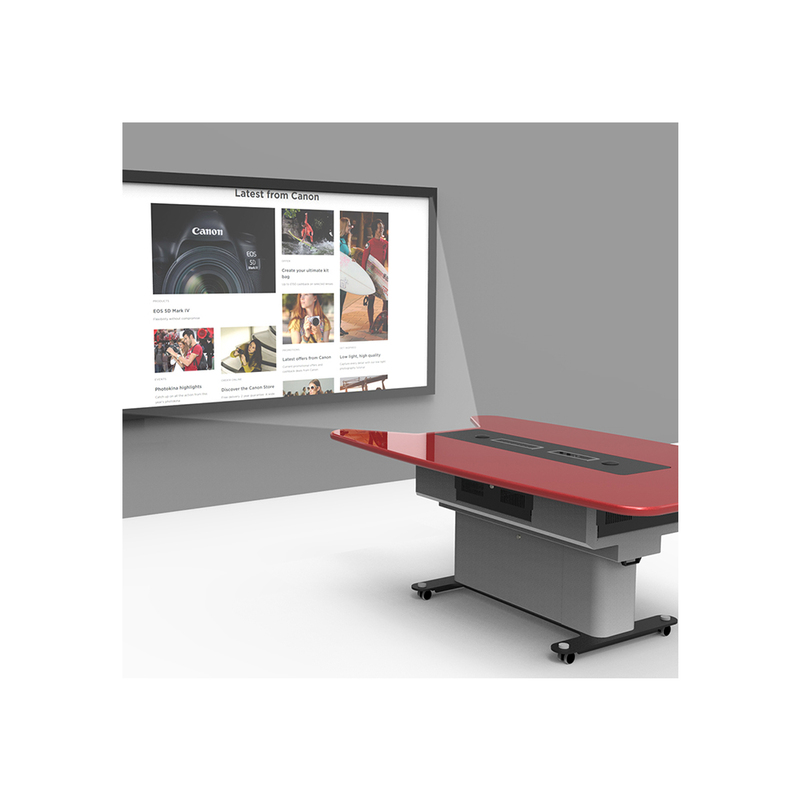 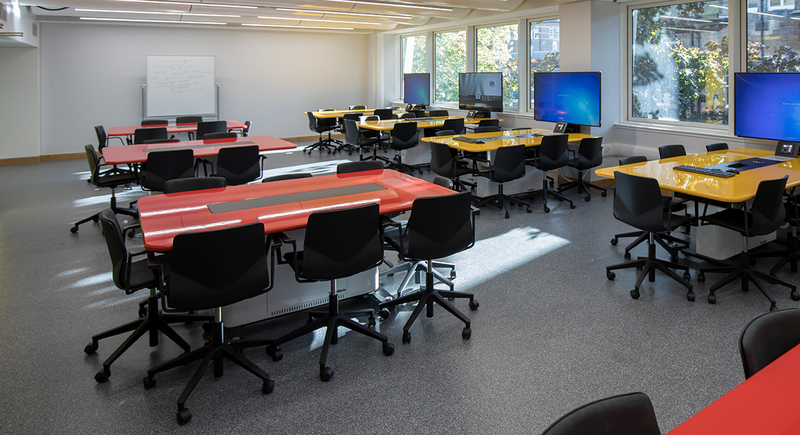 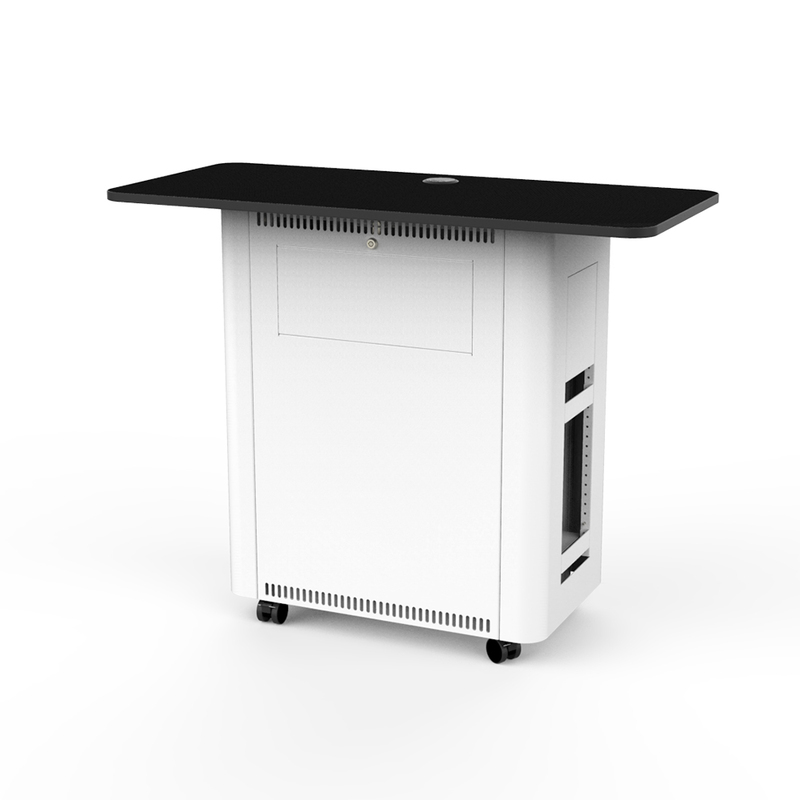 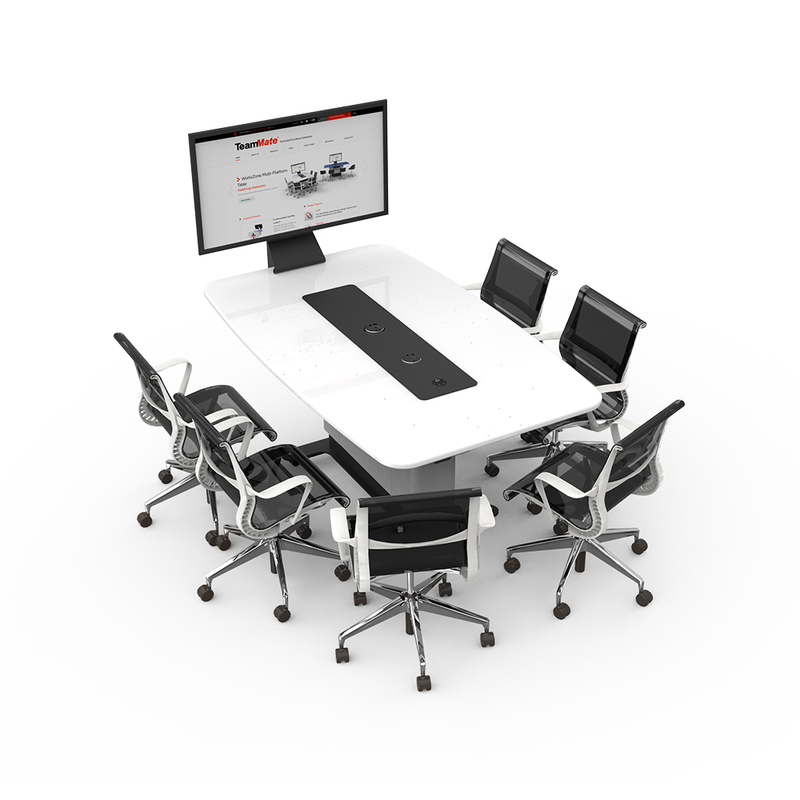 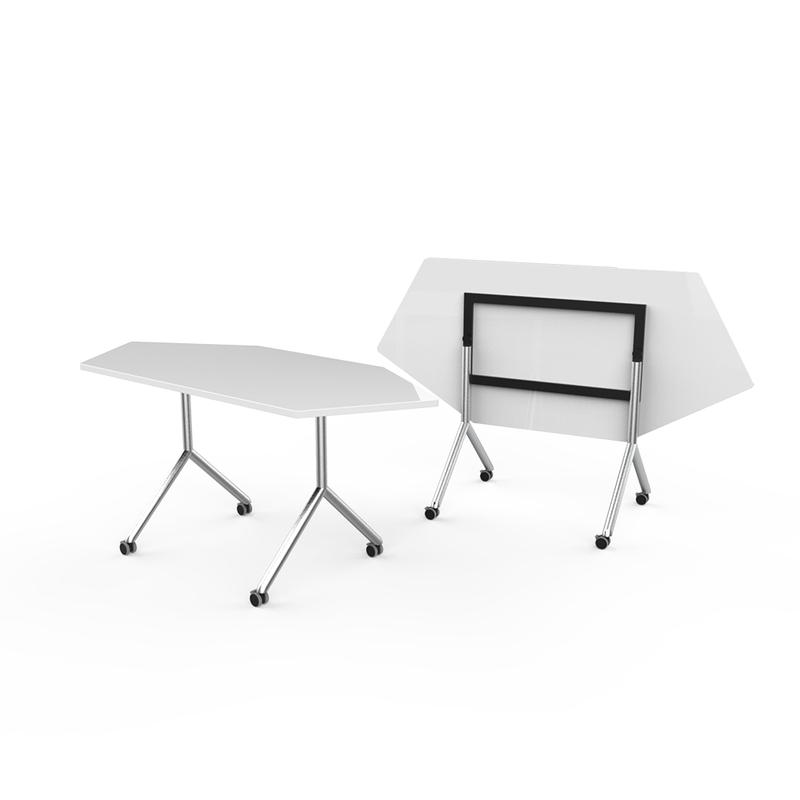 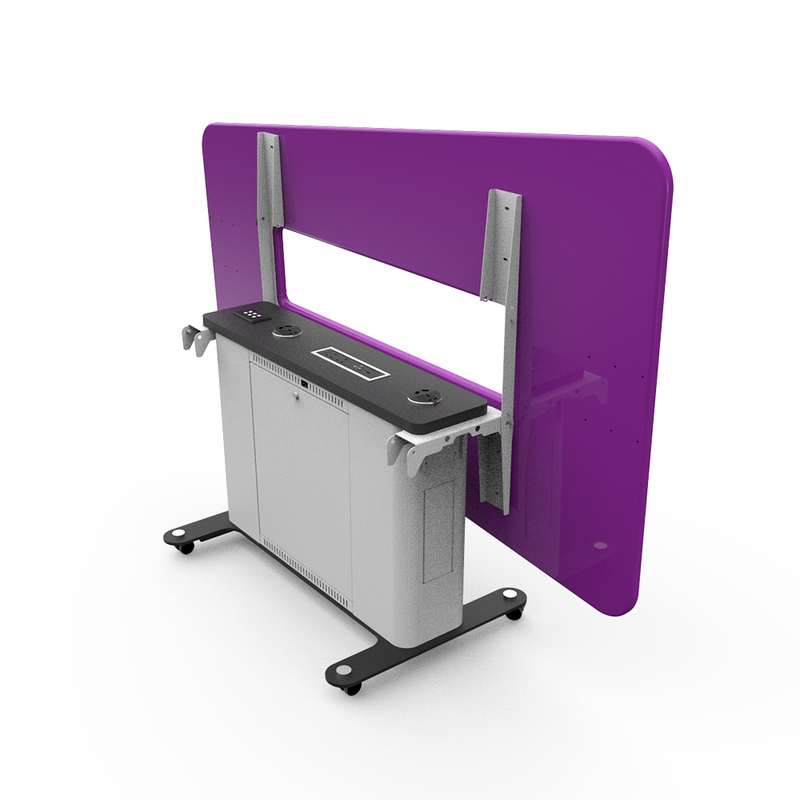 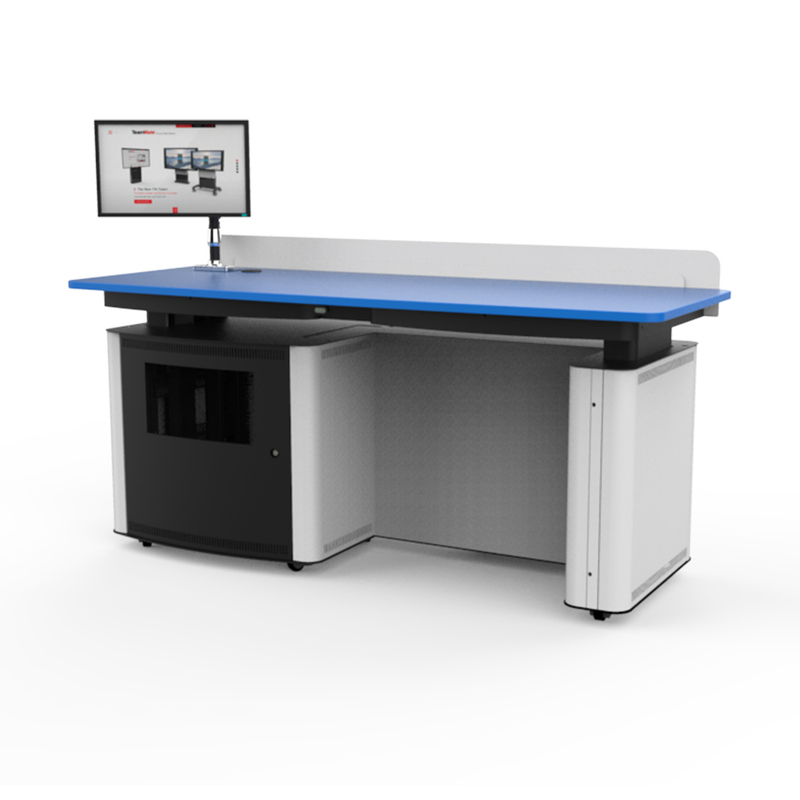 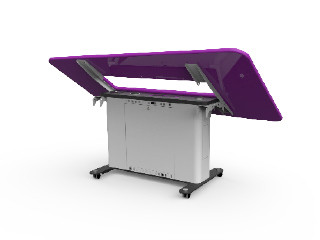 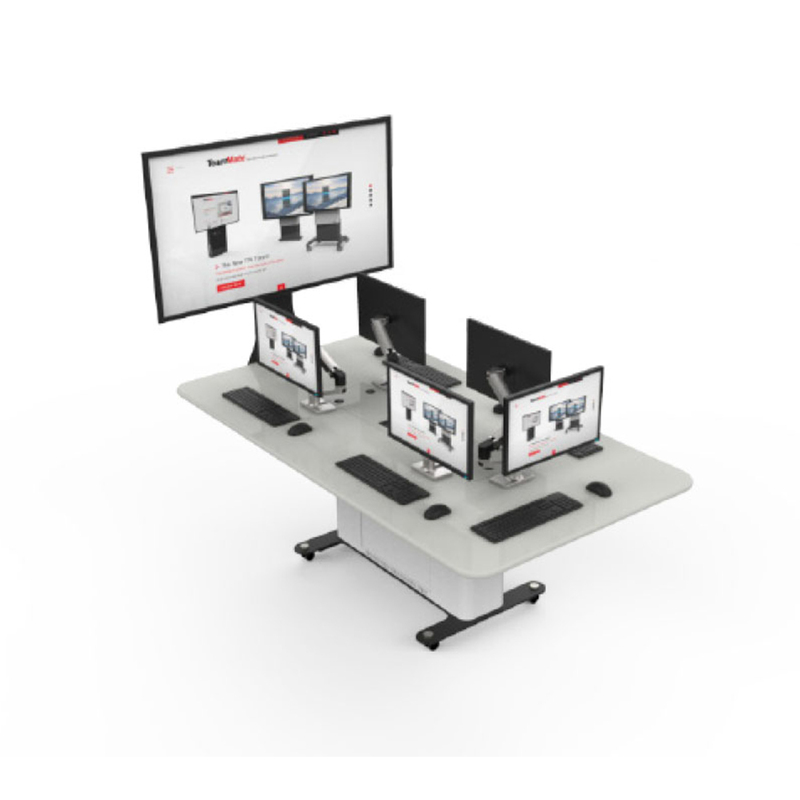 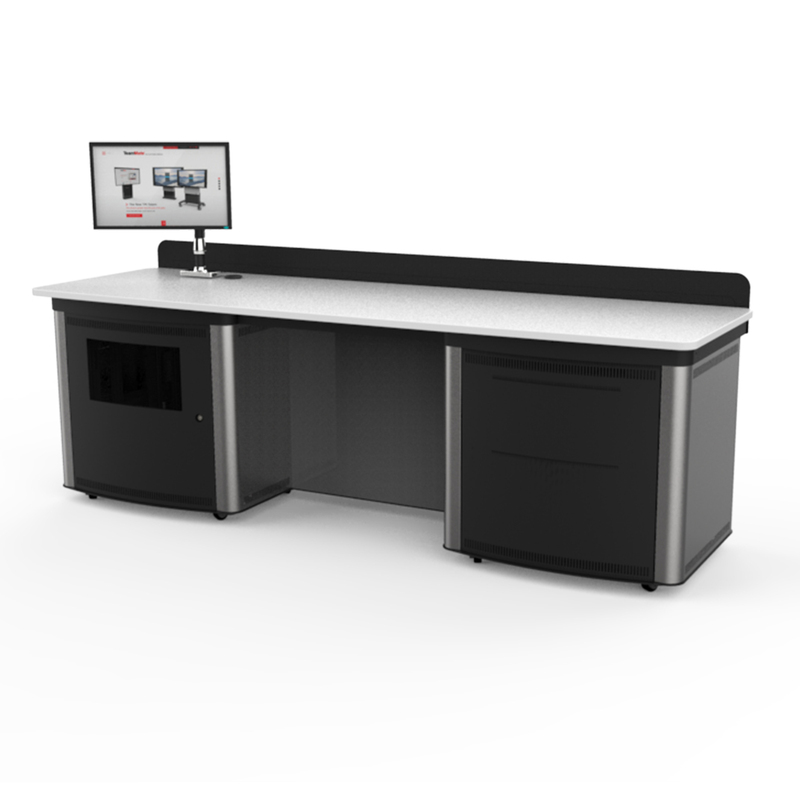 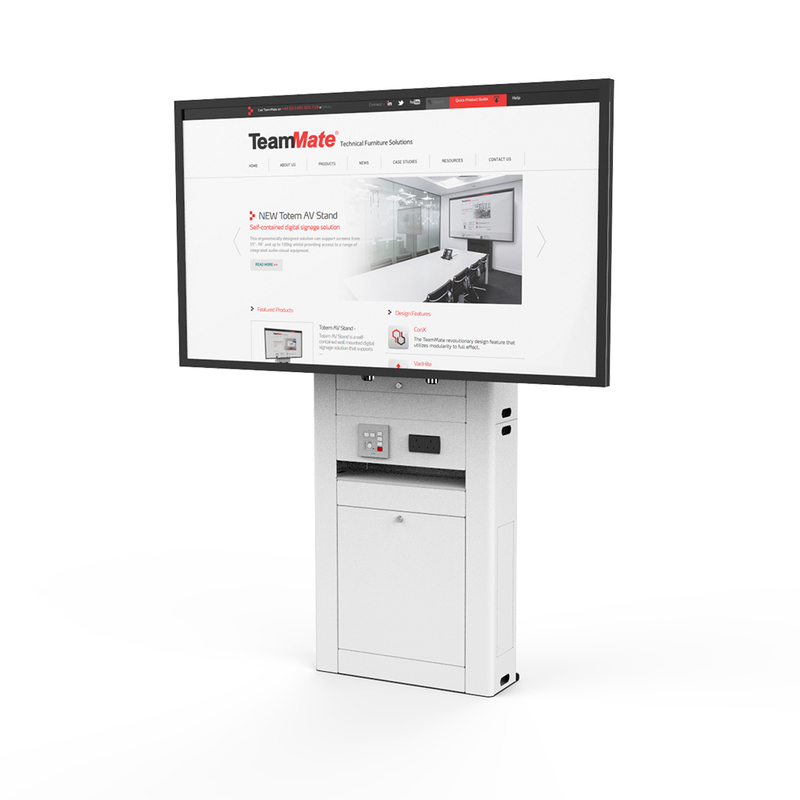 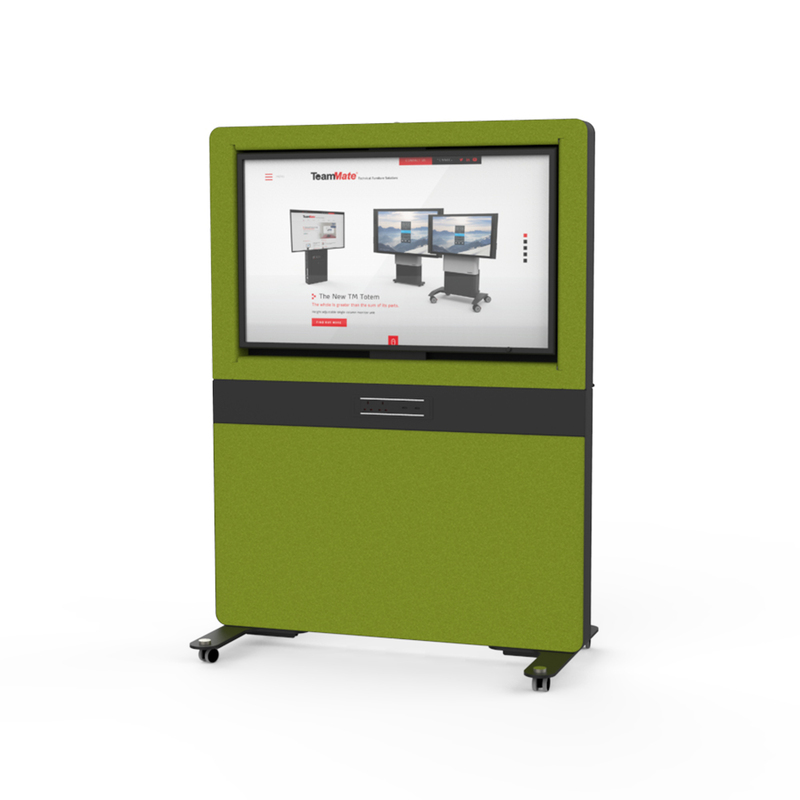 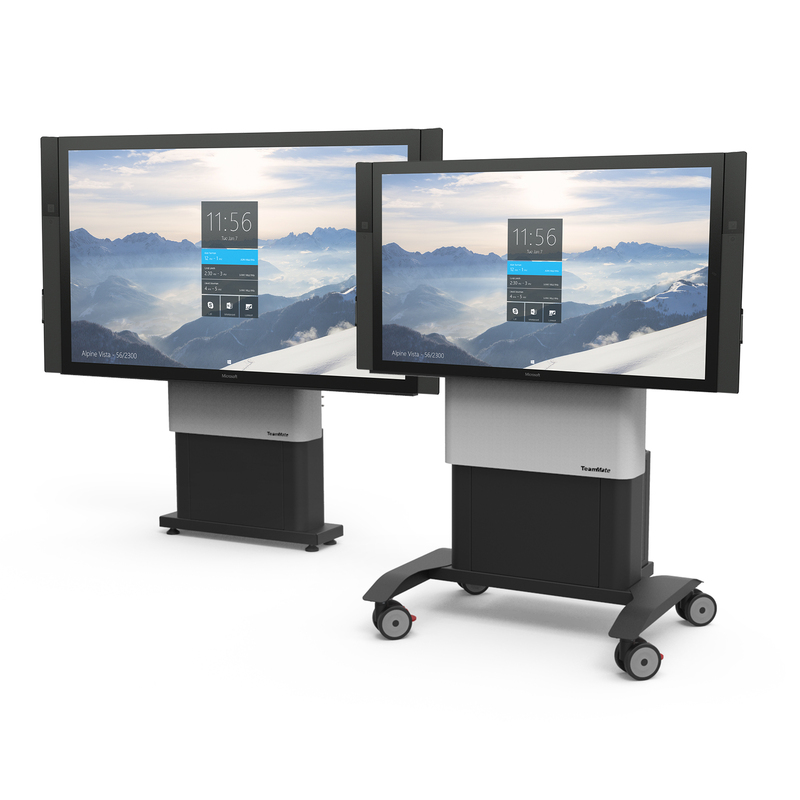 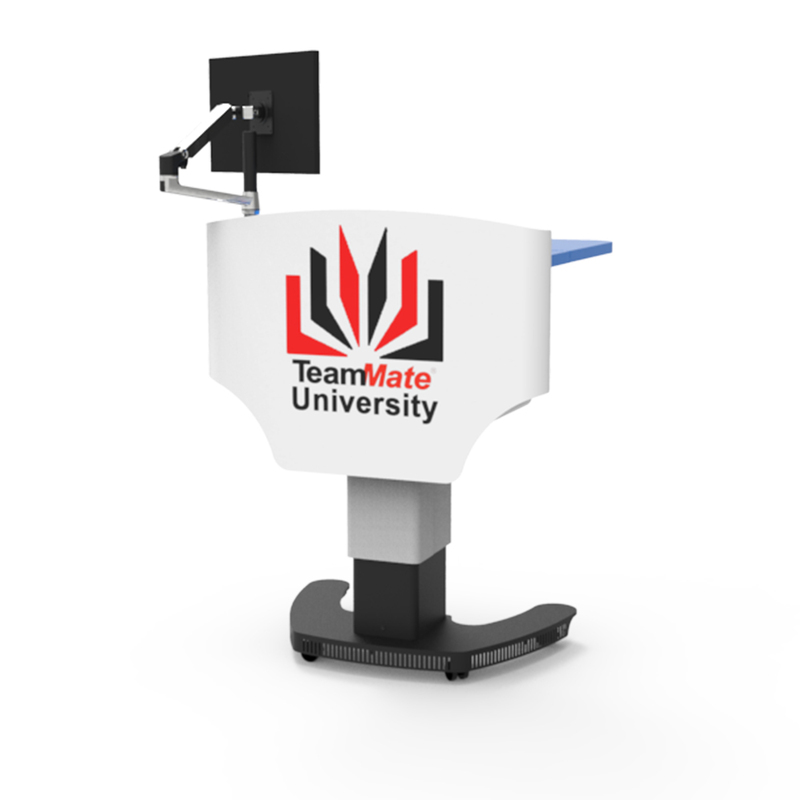 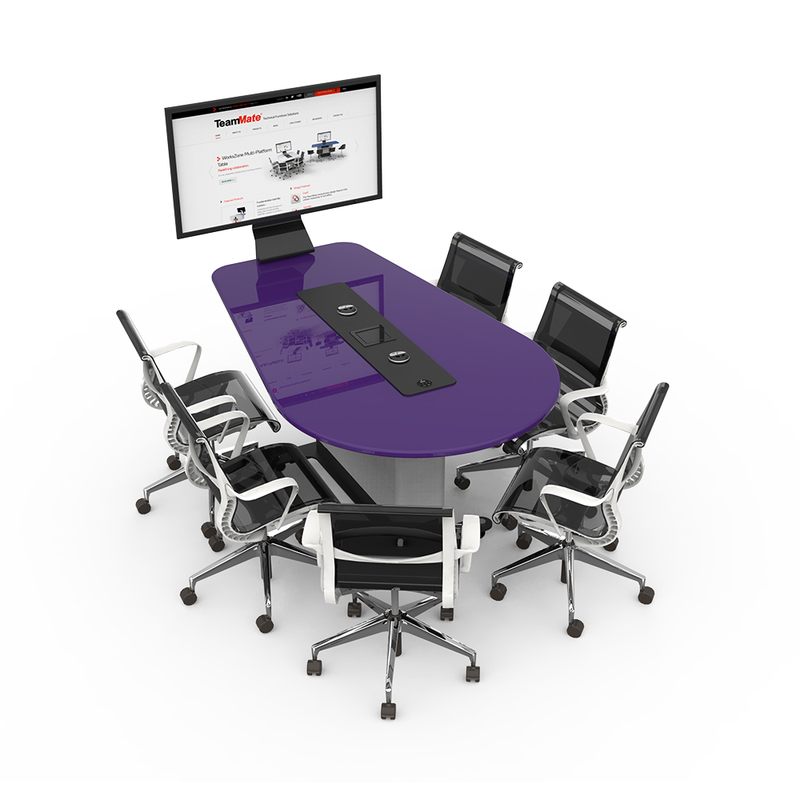 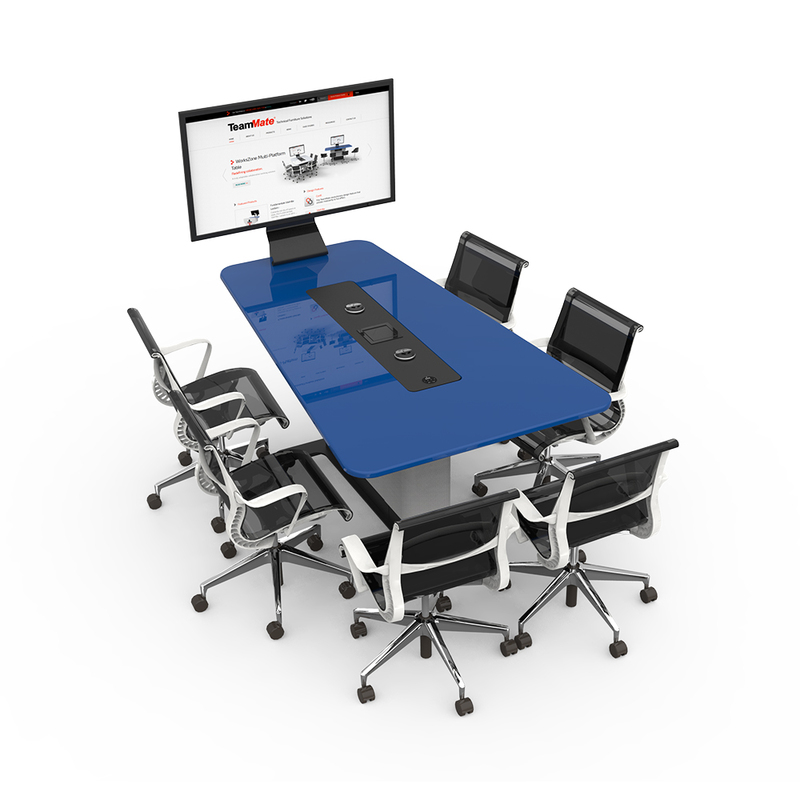 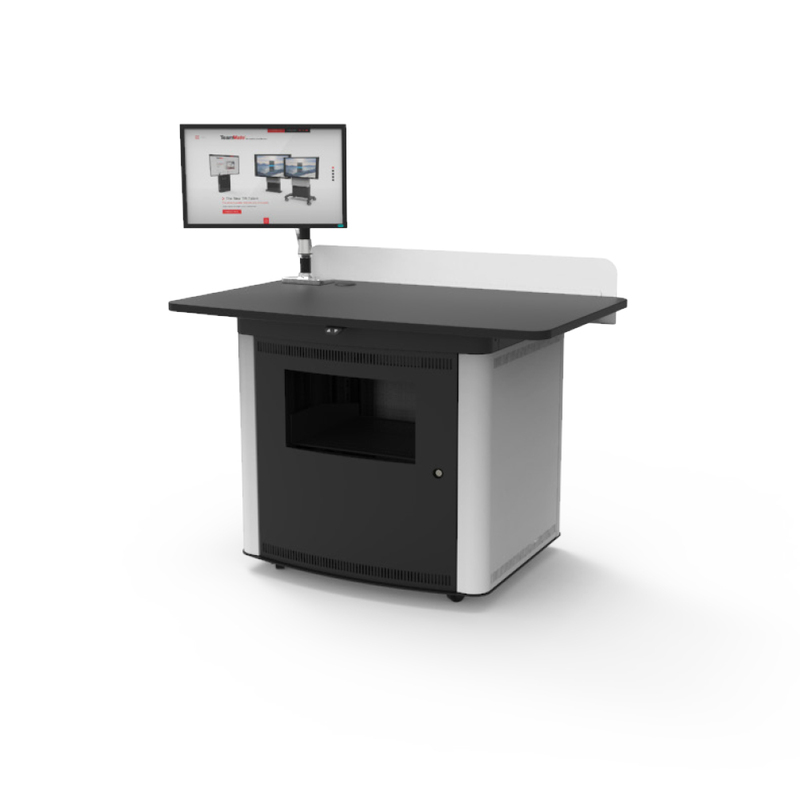 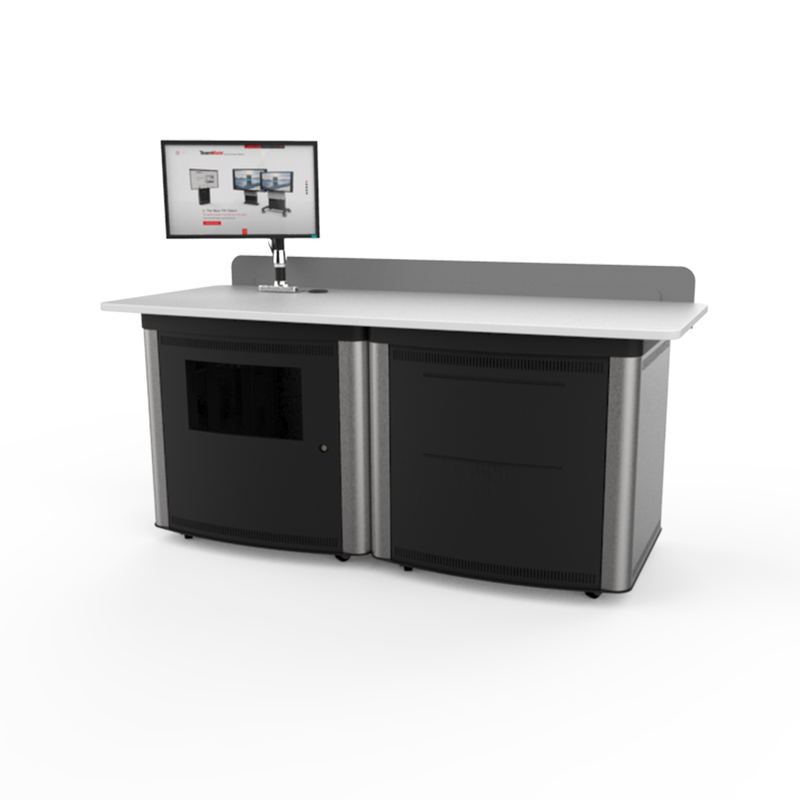 The WorksZone Collaboration Table can be used in conjunction with wall hung screens, or with the adaptable WorksZone screen support. 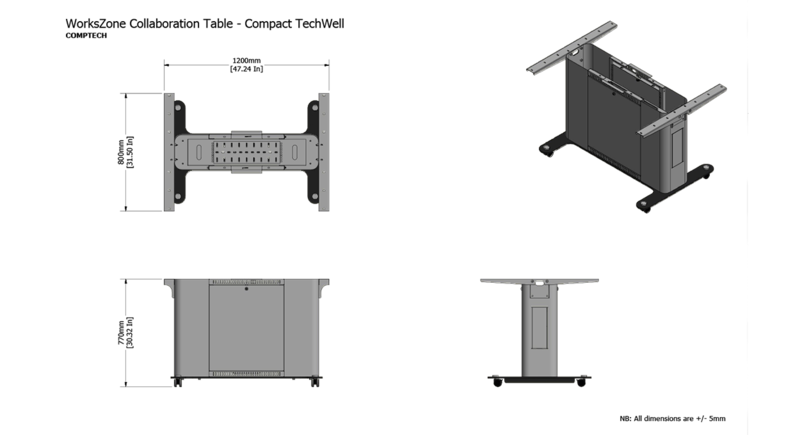 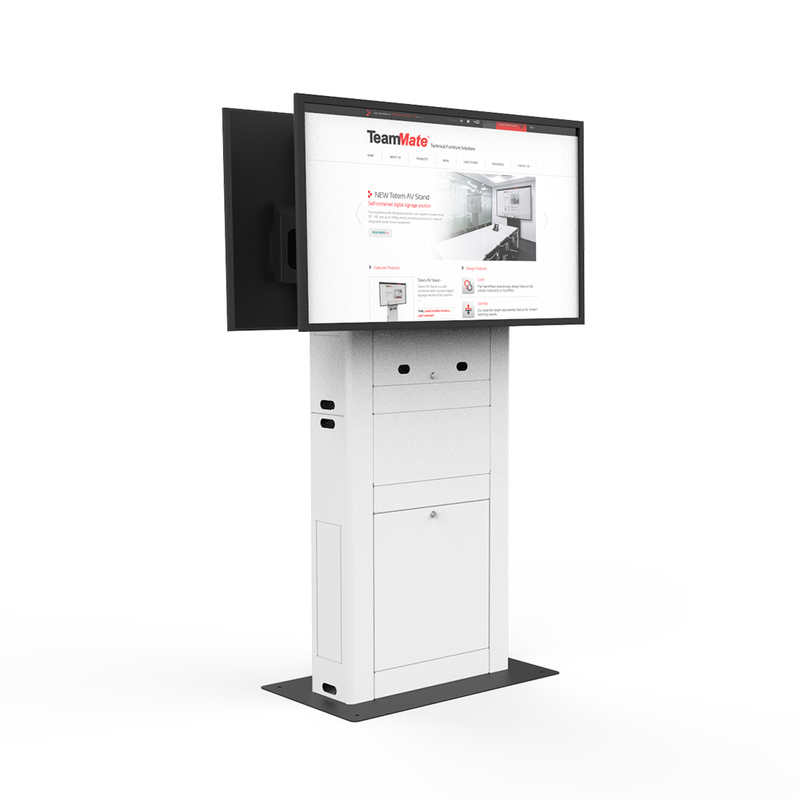 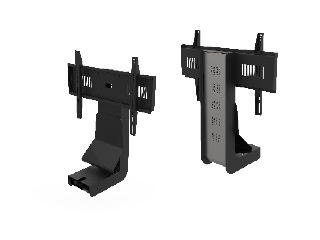 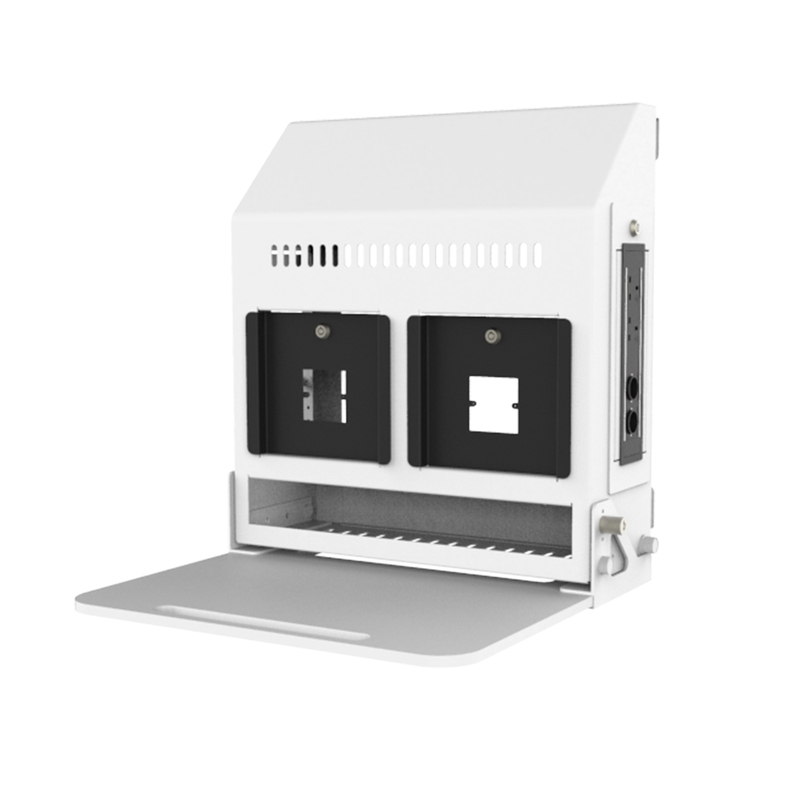 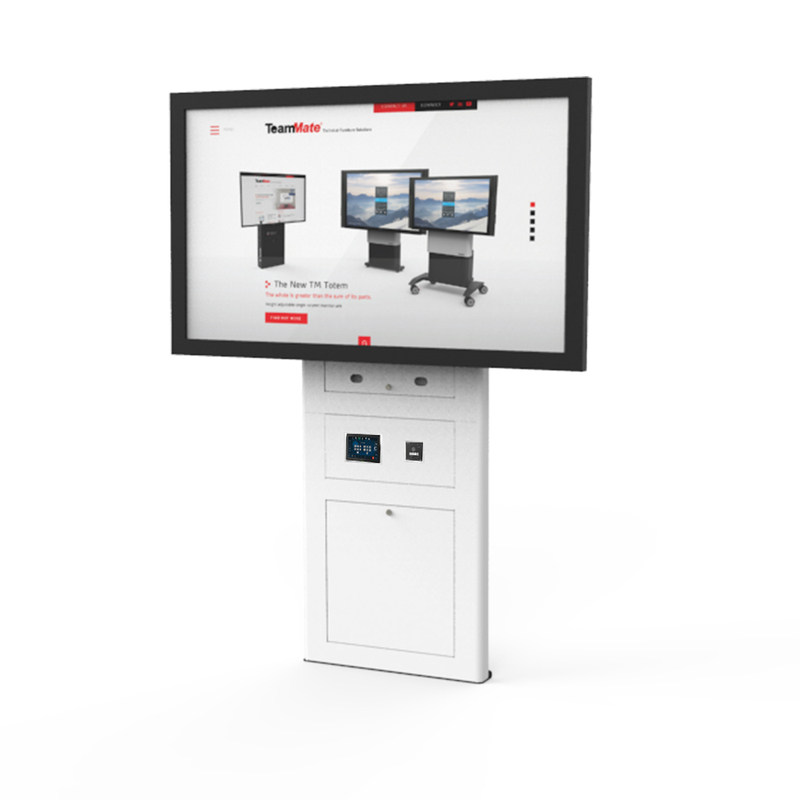 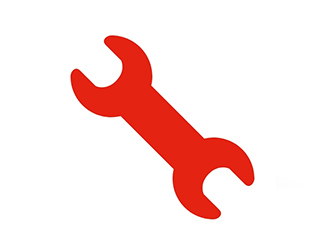 TechWell to accommodate cable retractor devices, power modules and AV/IT equipment.